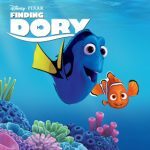 You are here: Home / 2016 Show Archive / Animals Today June 25, 2016: Will the film, Finding Dory, harm fishes and reefs? US government is killing cormorants. Veganism’s rise in Israel. Developing whale sanctuaries. This week’s show begins with Peter interviewing attorney Nicholas Whipps, from the Center for Biological Diversity. Nicholas voices the widespread concern that the blue tang will become the next sought after species for home aquariums, similar to what happened to the clownfish depicted in Finding Nemo. The methods used to harvest blue tangs are devastating to the environment and very cruel to the fish, killing many of them. We continue with Lori’s talk with Steve Hindi of SHARK, who describes the government’s killing of thousands of the cormorant seabirds, and its efforts to hide these activities from the public. SHARK’s videos document the true horrors. Lori continues with Professor Richard Schwartz, discussing the wave of veganism spreading across Israel. What is special about Israel and can this movement be replicated elsewhere? The show continues with Professor Lori Marino, Executive Director of the Kimmela Center for Animal Advocacy and President of the newly formed Whale Sanctuary Project. They wish to develop a seaside sanctuary for orcas and belugas in North America. Such a sanctuary would be an ideal destination for captive animals from marine parks.